Intelligent Office - Marlton offers a Class A+ office experience, with gorgeous office suites conveniently located on the first floor. Many of our offices face a lake side setting with water fountains, jogging trails and the building has many amenities including a fully equipped fitness center, café and a large outside patio area with tables to enjoy lunch or conduct meetings in a nature setting. The main entrance and conference rooms have floor to ceiling glass atrium views and the entire office suite has beautiful plants and foliage throughout giving a very professional & eye pleasing first impression for you and your clients. Our Marlton location is close to many businesses, great restaurants and high-end shopping areas. 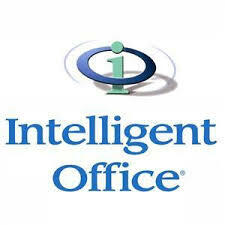 Intelligent Office - Marlton is in close proximity to Atlantic City, Berlin, Burlington, Cherry Hill, Collingswood, Haddonfield, Lindenwold, Medford, Moorestown, Mount Holly, Mount Laurel, Trenton, Vineland, Voorhees, Washington Township, Willingboro and Center City Philadelphia. With Intelligent Office your distance from the office is not a concern because you can work virtually anywhere professionally.